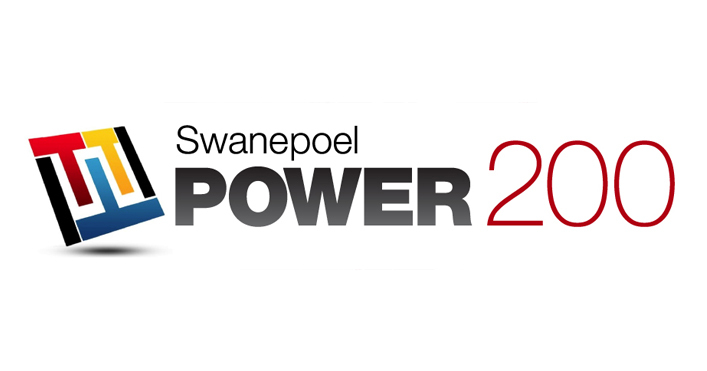 Editor’s note: Published by the strategic consulting and information firm Swanepoel T3 Group each January, the Swanepoel Power 200 (SP200) is the industry’s most rigorous ranking of the most powerful, influential leaders in the residential real estate industry. It also lists leaders in a number of subcategories, from technology execs to social influencers. The list reflects a diligent process supported by data and multifaceted criteria. T3 Group maintains a robust database, with stats and information on more than 1,000 real estate executives and. It spends hundreds of hours poring over data, debating with its selection team and verifying all possible people before settling on the . In the runup to the 2017 list, the fourth, Swanepoel T3 Group is profiling leaders and executives that were included on one of the nine lists published earlier this year. First up is Howard “Hoby” Hanna, 44, scion of the fast-growing family-owned real estate company his grandparents founded in 1957, Hanna Holdings. 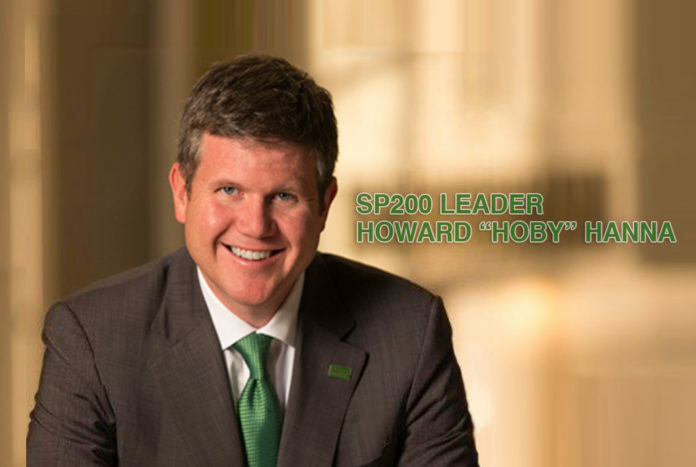 Hoby was named to the 2016 SP200 Trendsetters list. Last year, he became president of the firm’s brokerage division, Howard Hanna Real Estate. In this role, he oversees the Pittsburgh-based firm’s residential and commercial brokerage operations, which spans over 270 offices and 9,000 agents in nine Midwest and Northeast states. Howard Hanna Real Estate has been on a growth tear. In July, it acquired New York-based brokerage RealtyUSA and its more than 2,000 agents. In May 2015, it acquired 900-agent, New York brokerage Nothnagle Realtors. Hanna Holdings ranks as the country’s fourth largest brokerage firm by transactions sides (47,753 in 2015), according to a ranking by Real Trends using 2015 broker-reported data. Hoby took some time to chat with Swanepoel T3 Group about his thoughts on leadership and the industry, presented below as a Q&A. I started selling real estate at a branch office in the family firm in 1993 at age 21 and moved into management in 1996. In 2003, I moved to Cleveland to oversee the transition and integration of a local firm Hanna Holdings acquired. This evolved into an oversight of the firm’s growth and operations outside of its core Northeast home. I became president of the Ohio Midwest operation in 2005 and last year assumed control of Hanna Holdings brokerage operations. What’s your secret leadership sauce? Leadership is about creating a culture. You have to lead different people in different ways. In 2002, when I was 30, I took a post-graduate course in leadership at Yale. I thought I was a leader before; the course showed me I had much to learn. That’s where I learned you have to tailor leadership to specific people and situations and focus on communicating clearly and concisely. It also become clear that leaders are not always the loudest people in the room. I learned to be a more nimble leader. Sometimes it’s beneficial to allow someone to fail, sometimes it’s better to hold a strict level of accountability. Sometimes it’s better to put your arm around an employee for support when they stumble; other times, tough love is best. People don’t follow you because of a title, they follow you because you believe in them. Right now I’m reading a biography of George Washington, “Washington: A Life” by Ron Chernow. I admire how Washington dealt with the issues he faced as a general, leading a ragtag group of soldiers to beat back the most powerful empire in the world at the time. In addition, Washington faced daunting political challenges. He had to lead in a way to get results and help birth a nation. I also value NBA hall of fame coach Phil Jackson’s book, “Eleven Rings: the Soul of Success.” It shows the benefits of being able to manage and lead many different personalities. 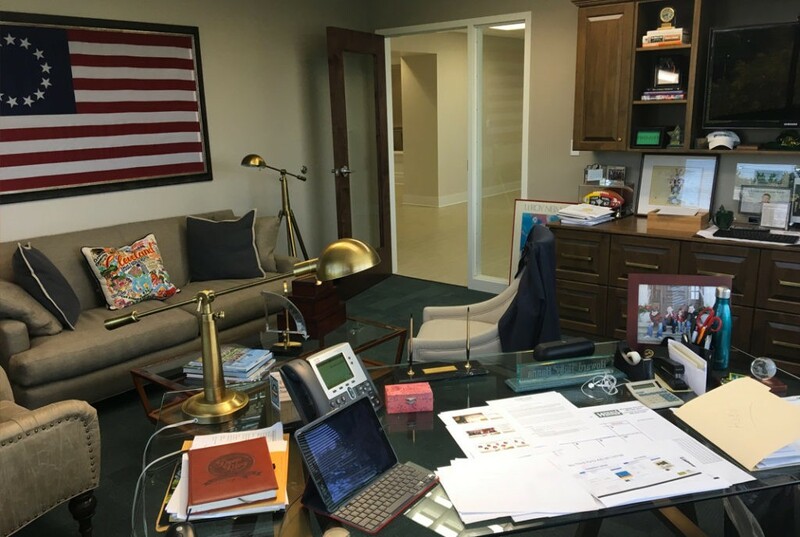 Hoby Hanna’s desk at his Cleveland office. We acquired RealtyUSA this summer and Nothnagle Realtors last year. Right now I’m focused on integrating and bringing the best of both Howard Hanna and those firms together. It’s tricky. The companies have senior leadership, managers and many agents, so communicating and collaborating takes attention and effort. Competitors are watching; if we stumble, it can cost us. But, we know, keeping the long view and focusing on quality wins despite the attraction at times of speeding it up. Favorite relaxing activity that’s not hanging with family? What are the biggest trends you see in the industry right now? Upstream, if done right, could be an immensely valuable tool for the industry. Read the story on the Swanepoel website here. Congratulations!! I enjoyed your humility in stating you learned a lot at the Management Course at Yale, and the type of leaders you emulate. Powerful article l might be picking up these books my self to read l want to be Successful like Hobby and the many others that inspired him. I am not surprised of this recognition.. Just in the few short weeks I have known him I have really enjoyed the knowledge he has shared with us. Not just what he has shared, but the way he presents it is fantastic..